Powered by an energy-efficient inverter and variable-speed compressor, the duct-free Inverter Heat Pump saves energy, reduces outdoor noise and maintains room temperature by eliminating the harsh starts and stops of conventional systems. 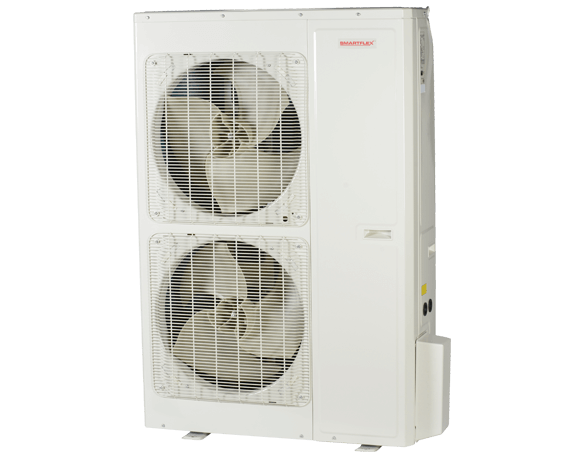 Inverter Heat Pump, Cooling Only with choice of 4-way cassette, ducted unit or floor/ceiling indoor units. 4 Way Ceiling Cassette: 18-48K Btu/h. Range of capacities to suit any space. Low ambient cooling down to 0° F.